While the spray and roll-on may be more convenient, when you need the maximum relief for aching muscles, sore or strained muscles, reach for a tube or bottle of FastFreeze Gel. A few of the reasons the gel is better, and why it is used by professionals, is that with the gel you get a more through application and better coverage over the area. Additionally, as you rub the gel into the skin the very act of rubbing the sore or aching muscles help you recover quicker. 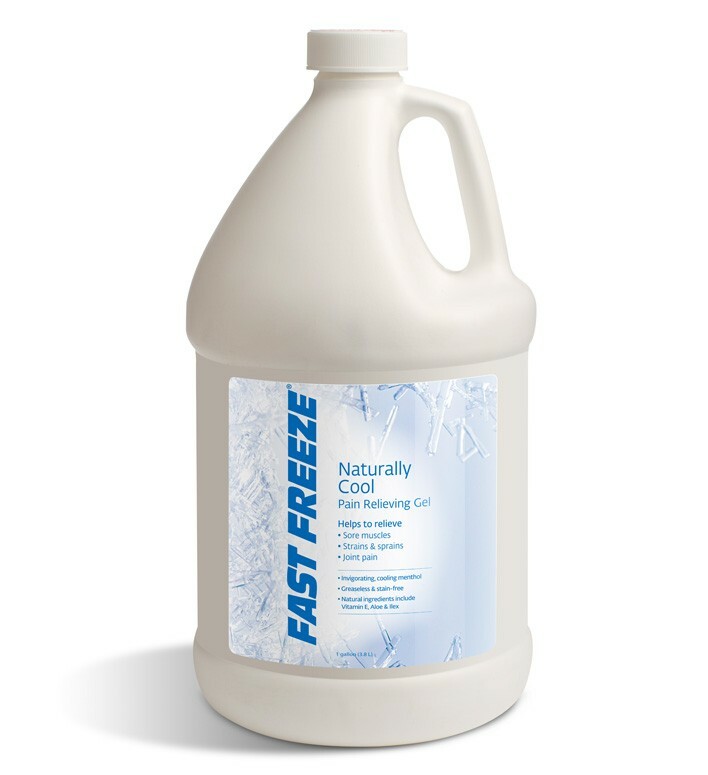 Unlike other gels, FastFreeze is not greasy, so you don't have to worry about it staining your clothes. When you need long lasting relief from pain, try the hands-on approach with FastFreeze Gel. The Gel delivers up to six hours of cyrotherapy support for pain relief, exercise and training. Additionally it increases nerve stimulation for home therapy or athletic rehabilitation purposes. FastFreeze gel can also enhance ultrasound treatments.